A few weeks ago I was driving home and my clutch blew out. I was stuck on the side of the road in the dark and freezing cold with my daughter and my dog in the car. I had called my emergency roadside assistance which initially sent a different tow company to come and get me. Several hours had gone by and I was notified that the previous tow company bailed. My insurance called and sent out Patriot Towing. Immediately I was contacted and asked if I was safe, and that they were on their way, to come and help me. I found out that they actually drove out of area to come and get me because of the situation. The driver that came out was Bill. He was very helpful, kind, and genuinely cared. He was a godsend that day. Bill went out of his way to make sure I was warm, felt safe, and knew that things were going to be okay. 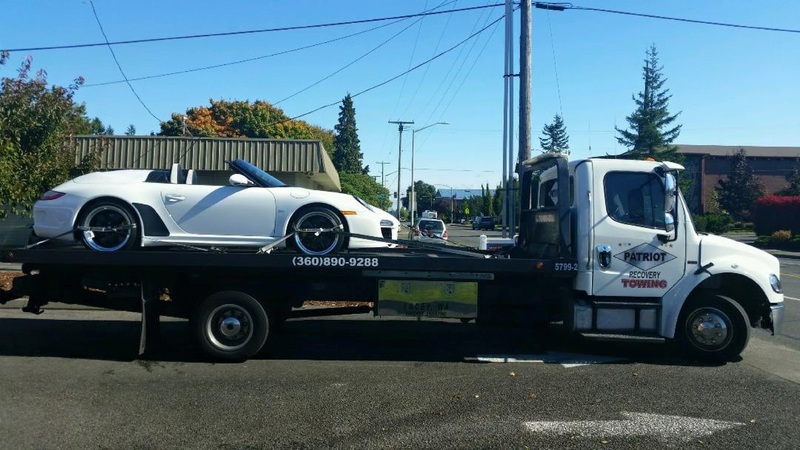 I highly recommend Patriot Towing. If in the future I’m in a situation where I need a tow, there’s no other company I will call but them. Thanks for such outstanding service!